President Obama and his clan of “experts” middling in the affairs of Egypt is going from bad to worse. The continuous effort to accommodate Islamists generally, and the Muslim Brotherhood specifically, is legitimizing and empowering a movement that is antithetical to a modern Egypt. Now Team Obama is injecting itself even further into the domestic debate by recklessly advising that Article 2 of the Egyptian Constitution – an article that is per se discriminatory and against the principle of a country that treats its citizens equally – should not be part of the reform discussions. Not only is a public comment on the what to change and not change in the Egyptian constitution stepping well over the bounds of what any U.S. official should be doing, but to single out this particular issue is putting the U.S. squarely on the wrong side the debate. The U.S. Government can and should be a force for positive change in Egypt, but this Administration is ill serving Egypt, the United States and indeed the world. In case there was any doubt of how much the Muslim Brotherhood feeds off of U.S. recognition. You are so right! The world needs a positive, wise, enlighting force for improving and building a better future not for destroying as unfortunately they are doing!!! Well said! 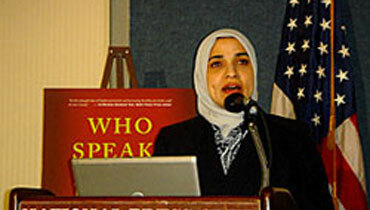 I wonder how modern American women would feel about the Obama Administration actively supporting an Islamic government in Egypt, if they knew about Article 11 of the Egyptian Constitution, which provides that: "The State shall guarantee the proper coordination between the duties of woman towards the family and her work in the society, considering her equal with man in the fields of political, social, cultural and economic life without violation of the rules of Islamic jurisprudence." The fact that the government has a right to dictate women's roles at all, is offensive enough. When you delve into the details of Islamic jurisprudence, the situation becomes even more intolerable. For example, the principal source of Islamic jurisprudence, the Qur'an instructs a man how properly to discipline his wife if he fears she has been disloyal or committed bad conduct. He is first to admonish her, then refuse to share her bed, and lastly chastise, discipline or beat her lightly. Moreover, the Qur'an states that a son's share of his father's inheritance is equal to that of two daughters. Even the evidentiary rules for Islamic legal proceedings are discriminatory against women. The Qur’an states that two male witnesses should testify in a legal proceeding. If two men are not available, a man and two women should testify “so that if one of [the women] errs, the other can remind her.” According to the opinions of several scholars, women are not eligible to serve as judges because they are susceptible to forgetfulness. Would Mrs. Obama or Secretary Clinton support an Islamic state if they or their daughters had to live there and be subject to such rampant and institutionalized discrimination!